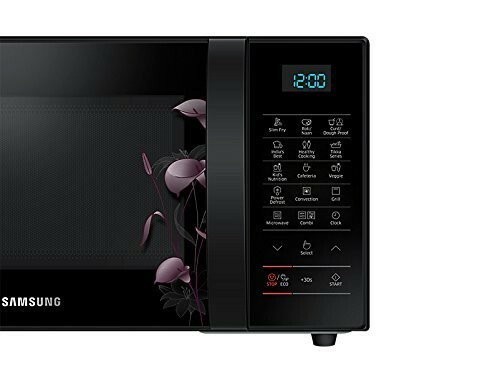 Samsung 21 L Convection Microwave Oven (CE77JD-LB, Black) comes with a bunch of impressive features to facilitate easy cooking at home. It has Crusty Plate that is very useful to heat leftover pizza from yesterday. You can use this Crusty Plate feature to heat frozen foods and the food will taste just like it was originally prepared. This is really a good feature in this Samsung microwave oven that ensures a crispy texture for perfect result every time. 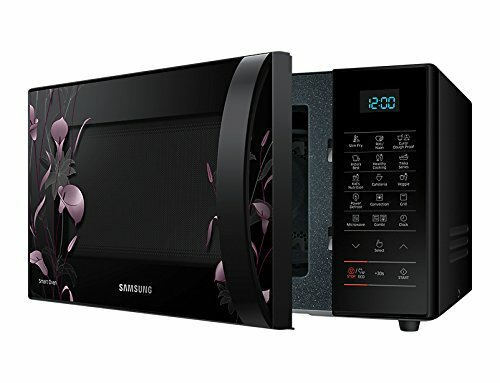 Further, Samsung CE77JD-LB microwave oven comes with a ceramic interior that facilitates easy cleaning and it doesn’t have scratch or discoloration related problems. 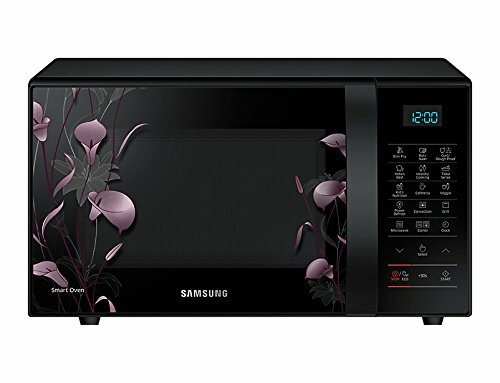 With this high profle microwave oven from Samsung, you will surely enjoy local tastes. It lets you choose from numerous auto-cook local recipes so that you can enjoy familiar flavors without wasting too much time. Another good feature is Curd Any Time that is very good to enjoy home-made dough or curd anytime of the day. It uses fermentation function that sets the right temperature to provide your family with even more options for tasty fresh meals. 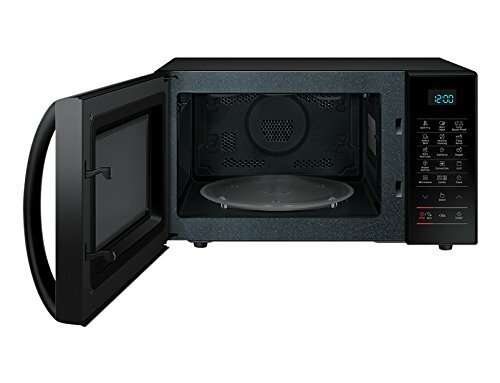 Samsung CE77JD-LB microwave oven has Tandoor Technology that replicates tandoor-like conditions with a temperature of up to 200° Celsius in the oven. This way you can make crispy roti or naan with just a single touch. 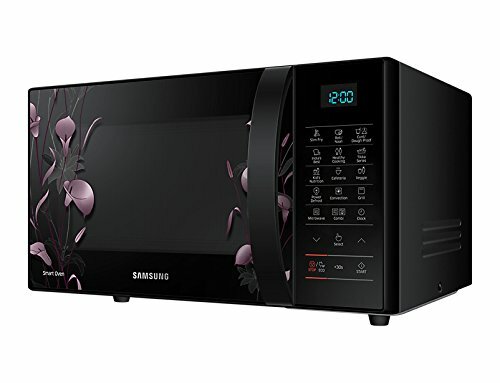 This is a 2350 watts microwave oven from popular Samsung brand that is also supported with one year of warranty on the product and 5 years warranty on the magnetron.